Cultural and creative organisations, grouped under the ‘Creativity Works!’ banner, welcome the publication today of an EU study1 that shows that citizens view intellectual property and its social and economic contribution positively. 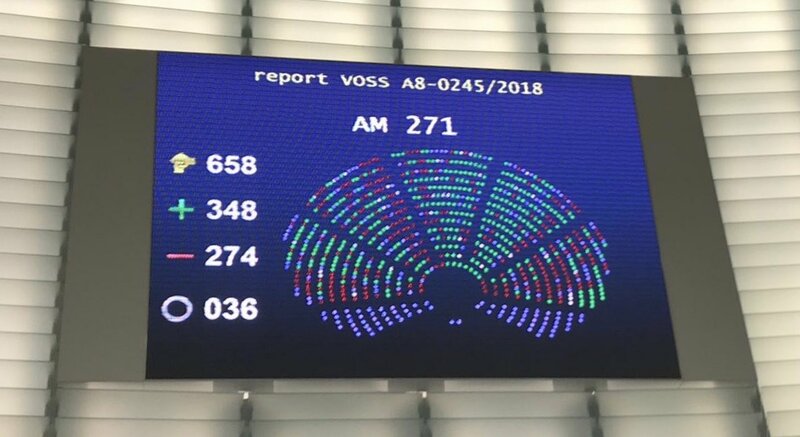 We are encouraged that Europeans agree overwhelmingly (96%) that inventors, creators and performing artists must be able to get paid for their work and protect their rights. “Copyright enables a virtuous circle of creativity, investment and cultural diversity. This benefits citizens and ensures that the effort, skill and talent of individuals who make creative works is rewarded. It is encouraging to see citizens acknowledge this,” said Helen Smith of IMPALA. However, the pan-European study also shows that the EU faces a challenge in ensuring that its citizens understand what these values mean in practice when they enjoy music, films, books or other creative works. “More efforts are needed to help people, in particular the younger generations, see the link between accessing content in a legal manner, and the sustainable development of the cultural and creative sectors2 . Without professional and high-quality content, the internet would be much poorer,” said Anne Bergman-Tahon of FEP. Benoît Ginisty of FIAPF added that, “We all have a stake in ensuring that creativity can flourish in the digital age. The film industry is committed to explaining how films get made and financed, and how hundreds of people are involved in each one.” The cultural and creative sectors are predominantly comprised of individuals and SMEs who rely on IP as much as, if not more than, large companies and ‘stars’. All creators rely on copyright. The public perception of intellectual property is very topical in EU Member States too. In the UK, a recent poll3 found that while most people understand the importance of copyright in enabling the creative industries to finance and produce high-quality content, a significant number admit to downloading material from unauthorised sources. In Denmark, the ‘Share with Care’ campaign4 brings together rights holders and the telecoms and technology industries to raise people’s awareness of how they can enjoy and share culture through services that pay artists for using their creative works. And in France, a recent study5 revealed a marked level of respect amongst gamers for game creators, with 94% believing that games involve a real work of creation and 86% feeling that they participate in this work by buying games. “Respect for the creativity and hard work of creators can be a strong motivation for the lawful consumption of content, and all of our sectors should do more to highlight the work that goes into their creations”, said Simon Little of ISFE. The creative and cultural sectors provide a much-needed boost to the flagging European economy. This was underlined recently by a study6 highlighting that Europe’s IP-intensive industries contribute 26% of employment and 39% of GDP in the EU. Within this, the core copyright-intensive industries generate 9.9 million jobs, contribute approximately EUR 230 billion and generate a trade surplus. “The numbers back up EU citizens’ belief in the value of intellectual property. They also make it all the more important that this translates into ensuring creators get paid for their creative works,” said Mathieu Moreuil of the Premier League. Online content offers in the EU are blossoming, and our sectors are committed to providing sustainable legal platforms and services for all Europeans. For example, there are now over 260 licensed digital music services, and total spending on online video transactions soared to €673.7 million in 2012, 97.1% up from 20117. Today, Europeans have access to over 2 million e-book titles8, over 30 million licensed songs9 and over 3000 Video-on-Demand (VOD) services10. “We are working hard to ensure that consumers are aware of the growing numbers of legal services at their fingertips,” said Charlotte Lund Thomsen of IVF. Initiatives such as www.pro-music.org, the UK’s www.thecontentmap.com, Germany’s www.was-ist- vod.de and Spain’s www.mesientodecine.com, are enabling Europeans to discover the wealth of legal services available to them, from films and TV, to e-books, music, games and sports. 2 42% of Europeans consider it acceptable to download or access copyright-protected content illegally when it is for personal use. This number rises by 15 points to 57% amongst citizens from 15 to 24 years old.